USC CAIS summer fellows were selected following an application process. Candidates who have a passion for using AI for social good were selected to spend the summer with us to contribute to new and ongoing projects locally and globally. Thank you to our funders, Microsoft AI for Earth and Schmidt Futures, for supporting our summer fellowship program! Dr. Saket Anand is an Assistant Professor at Indraprastha Institute of Information Technology, Delhi, (IIIT-Delhi), India. He completed his PhD from the ECE department in Rutgers University, focusing on computer vision and semi-supervised learning. 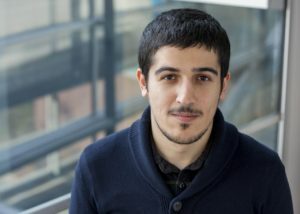 His current interests are in investigating robust statistics and geometry for weakly supervised learning problems in computer vision. Some of his recent contributions have been in the application area of wildlife monitoring, particularly using camera trap images for automatic population monitoring of big cats and other land species. He was one of the organizers of the first Workshop on Visual Wildlife Monitoring, co-located with ICCV 2017. Dr. Hsun-Ta Hsu is an Assistant Professor in the School of Social Work at the University of Missouri. His research interest focuses on health promotion among homeless individuals, including homeless youth and homeless adults, with the ultimate goal to end homelessness. Dr. Jerome Mayaud is a Postdoctoral Research Fellow at the University of British Columbia’s Urban Predictive Analytics Lab. 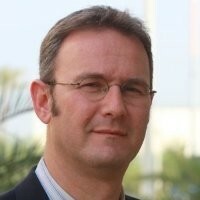 He uses modelling techniques, such as agent-based and statistical modelling, to analyze smart cities and urban systems. 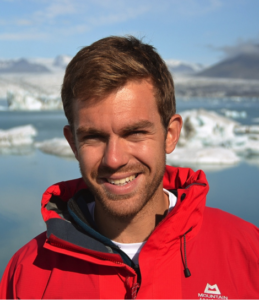 Prior to working at UBC, Jerome researched the evolution of dryland landscapes for his PhD at the University of Oxford, and modeled glacial dynamics of Greenland for his MPhil at the University of Cambridge. He is particularly interested in the ways research can be communicated to the public and used in the realms of policy and decision-making. Dr. Lindsay Young is a Postdoctoral Scholar at the University of Chicago’s Chicago Center for HIV Elimination (CCHE), directed by Dr. John Schneider. Lindsay is a social scientist and communication scholar by training who, in her current work, utilizes social network approaches to understand the social and communicative contexts that expose young sexual and racial minorities to HIV-related protections and risks and, in turn, influence their care engagement trajectories. She is particularly interested in how social and behavioral norms emerge in online social networking environments like Facebook and how those processes might be leveraged for online prevention interventions. 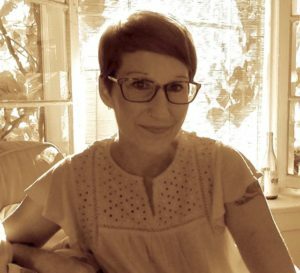 Methodologically, she draws on a variety of techniques including stochastic network modeling, semantic network analysis and, most recently, machine learning approaches to textual analysis and predictive modeling. Lindsay received her PhD from the Department of Communication Studies at Northwestern University in August 2014, advised by Professors Noshir Contractor and Paul Leonardi. 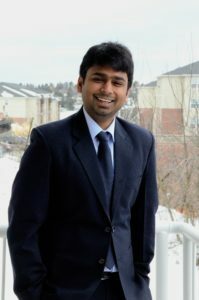 Shivam Goel is a first-year Ph.D. student advised by Professor Matthew E. Taylor in the School of Electrical Engineering and Computer Science (EECS) at Washington State University (WSU). Prior to that, he received his master’s degree in Computer Science at WSU. 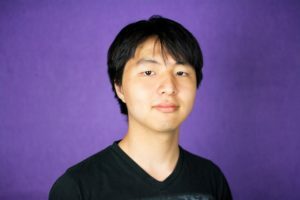 His research interests include applying machine learning and computer vision into robotics to solve real-world problems. Sadegh Farhang is a PhD student in College of Information Sciences and Technology at Pennsylvania State University. His research interests broadly revolve around game-theoretic modeling of security problems, the economics of cyber-security, and fairness in machine learning. 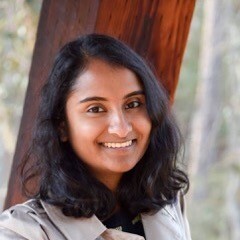 Naveena Karusala is a PhD student in the School of Computer Science at the University of Washington, advised by Dr. Richard Anderson. She completed her undergraduate degree in computer science at the Georgia Institute of Technology, advised by Dr. Neha Kumar. Her interests lie at the intersection of Human Computer Interaction and Information and Communication Technology and Development, focusing on the domains of learning and health. Her current work explores how peripheral workers, such as community health workers, receive wages from their employing organizations, looking at how workers understand and cope with delayed or inconsistent payments, the underlying organizational workflows that cause delays, and the potential role of digital financial services in addressing these issues. Duncan McElfresh is currently a PhD student in Applied Mathematics and Computer Science at the University of Maryland, College Park, where he is advised by John P. Dickerson. His research applies techniques from optimization, machine learning, and artificial intelligence, to problems in health care. He is also interested in the societal and moral impacts of applying computer science to these problems. 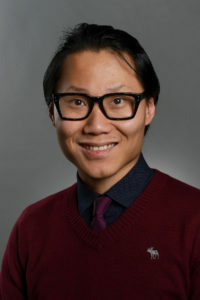 Hoon Oh is a first year PhD student advised by Fei Fang in the Computer Science Department at Carnegie Mellon University. Prior to joining CMU, he received his bachelor’s degree in computer science at Rutgers University-Camden. He is currently interested in optimization methods and computational game theory in social problems such as conservation problems and ride-sharing problems. 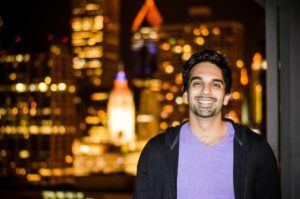 Sadiq Patel is a PhD candidate at the School of Social Service Administration and an MS candidate in Biostatistics at the University of Chicago. His doctoral research seeks to integrate innovative technology, particularly spatial data science and machine learning, to accurately measure the risk associated with urban youths’ daily activity settings and its association with youth problem behavior. Prior to entering the PhD program, Sadiq completed his B.S. in Molecular and Cellular Biology at the University of Illinois Urbana, Champaign, and his MSW at the University of Michigan. Professionally, Sadiq has worked as a clinical social worker in Chicago Public Schools; an educator in Miami-Dade County Public Schools through Teach for America; and a Technology Consultant at Accenture. Avi Segal is currently a PhD student in Software and Information Systems Engineering at Ben-Gurion University of the Negev, Israel, where he is advised by Ya’akov (Kobi) Gal. He investigates personalization and engagement in large-scale task systems, focusing on the e-learning and citizen science domains. His research uses machine learning and artificial intelligence methods to enhance human learning and motivation in these domains. His work has been applied in large-scale settings such as the Zooniverse, the world’s largest platform for people-powered research. 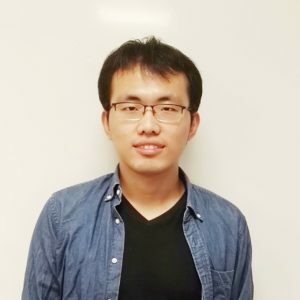 Xinrun Wang is a third year PhD student in Computer Science at School of Computer Science and Engineering at Nanyang Technological University, Singapore. He joined the Agent Mediated Intelligence research group in August 2015, supervised by Professor Bo An. Before joining NTU, he received his Bachelor’s degree in Applied Physics at Dalian University of Technology. His research lies in solving real world problems using techniques from algorithmic game theory and machine learning. Jennifer Wilson is a doctoral student at the University of Denver’s Graduate School of Social Work. Her research interests focus on social innovations and interdisciplinary approaches to addressing poverty, more specifically the issue of homelessness. 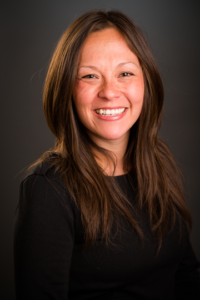 She is currently a Graduate Research Assistant with the Burnes Center on Poverty and Homelessness as well as a former Fellow of the Barton Institute for Philanthropy and Social Enterprise, both housed at the University of Denver. She earned her master’s degree in social work from the University of Wisconsin-Madison and her MBA from the University of Denver. 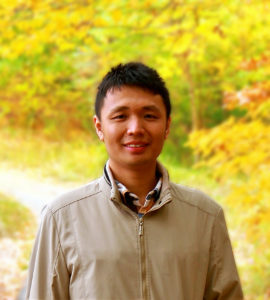 Yexiang Xue is a PhD candidate in the Department of Computer Science at Cornell University, working with Professors Carla Gomes and Bart Selman. Upon graduation, he will join Purdue University as an assistant professor in computer science starting Fall 2018. 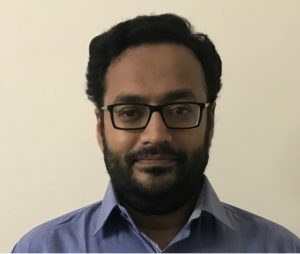 His research aims at combining large-scale constraint-based reasoning and optimization with state-of-the-art machine learning techniques to enable intelligent agents to make optimal decisions in high-dimensional and uncertain real world applications. 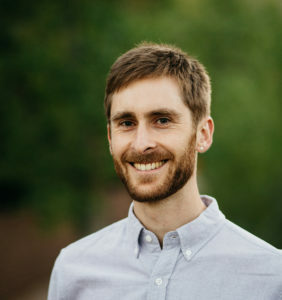 More specifically, his research focuses on scalable and accurate probabilistic reasoning techniques, statistical modeling of data, and robust decision-making under uncertainty.